Are you interested in working for our restaurant? Email our office or call 0116 2796260 to request a Job Application form. We’re a family-run restaurant that’s proud of our extended family of a core team of chefs and front of house staff. 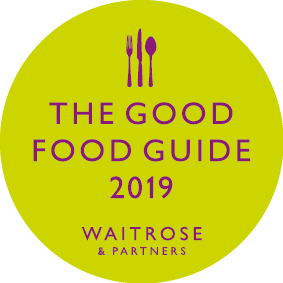 There is no doubt that our hard working and professional team have earned us prestigious awards and inclusion in The Good Food and Michelin Guides. Our emphasis is on fresh, seasonal food, all prepared on the premises. We’re looking for individuals who are highly motivated, have a real passion for this sector and keen to be involved in producing and serving great food to a serious standard in a fast-moving environment. Developing and rewarding our staff is important to us. Shared tips, staff meals and training opportunities are offered to all staff. We are the perfect start for a budding young apprentice chef, but also an excellent 'next step' for a chef on the way up. Are you highly motivated with a real interest in the industry and keen to be involved in producing great food of a serious standard. There is no emphasis on past experience, simply the enthusiasm to embrace our style and concepts whilst bringing your own flair to the team. We are also happy to take on people who are looking for a career as a chef, or for those already at catering college (we will consider the possibility of day release). We are also keen to hear from any enthusiastic potential front of house staff, available to work lunches, evenings and weekends; flexible hours and shifts, but a true love of the job is essential. Are you looking for permanent part time or full time work, for lunch time and evening shifts. Experience in the trade is not essential; it is more important that candidates have a good hard working attitude and a happy, cheerful personality. Hours are variable, on a shift system. Variety in the work place is also a feature of this role, as the ideal candidates will be given the opportunity to work in both of our restaurants.